Astronomers have found a way to turn quasars into standard candles, with potentially far-reaching implications for the nature of mysterious dark energy. National Science Foundation (NASA, JPL, Keck Foundation, Moore Foundation, related) — Funded BICEP2 Program; modifications by E. Siegel. Two decades ago astronomers discovered that the universe was not only expanding but accelerating in its expansion. They dubbed the cause of this acceleration dark energy, but what that actually is remains as ineffable now as it was then. The weird repulsive force has left its fingerprints on the earliest photons we can see, the ones emitted as part of the cosmic microwave background (CMB), when the infant universe was only 370,000 years old. Yet dark energy only began to dominate expansion as the universe entered middle age, after 9 billion years or so. Now, Guido Risaliti (University of Florence and INAF-Astrophysical Observatory of Arcetri, Italy) and Elisabeta Lusso (Durham University, UK) are using quasars to probe the cosmology of our universe’s relatively unexplored adolescence. 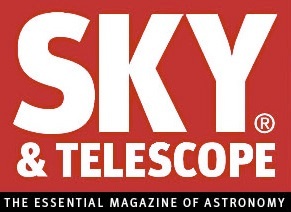 The results, appearing in the January 28th Nature Astronomy, promise to reveal dark energy’s true nature. The leading explanation for dark energy has long been the cosmological constant, also known as vacuum energy. This energy inherent to empty space arises from quantum theory, which says that even when space appears empty of particles, it’s actually filled with quantum fields. These fields exert a negative pressure that counteracts the attractive force of gravity. However, calculations of vacuum energy overpredict the measured dark energy density by an astounding 120 orders of magnitude (that’s a 1 followed by 120 zeroes!). That the cosmological constant remains the favorite theory speaks to how little we understand dark energy — and how difficult the measurements involved are. Studying the universe at any age starts with gauging cosmological distance — the farther we look, the further back in time we see­­ ­— but we can’t just roll out a tape measure to the stars. Enter standard candles, objects for which we can measure an intrinsic luminosity. By comparing how bright a standard candle appears to be with how bright it really is, we can determine its distance without knowing anything about cosmology. Type Ia supernovae have long been the brightest of standard candles. Observations of these detonating white dwarfs led to the Nobel-winning discovery of accelerating expansion announced back in 1998. The supernovae extended our reach to when the universe was a third of its current age. That’s a pretty good tape measure! Nevertheless, it only probes the era when dark energy began to dominate the universe’s expansion. To see farther back, and probe the era when dark energy overtook matter, astronomers need something even more luminous. Understanding the physics of quasar accretion disks (blue-white) and X-ray-emitting coronae (yellow) can help astronomers use quasars as standard candles. NASA / CXC / M. Weiss. What’s more luminous than an exploding star? A gas-guzzling supermassive black hole would do the trick. After all, quasars are brilliant enough to be seen from a universe less than a billion years old, making them prime targets for reaching earlier epochs. Unfortunately, quasars also exhibit a bewildering variety of forms — astronomers have long thought they were anything but standard. Case in point: Astronomers have known for the past 30 years that more visibly luminous quasars emit relatively fewer X-rays, but there was too much variance from one quasar to another to pin down any one quasar’s intrinsic brightness. Risaliti and Lusso realized that this relation between the emission of X-rays and visible light must arise from the physics of quasar accretion disks. The disk itself emits visible light, while a hot, gaseous corona emits the X-rays. The two are intertwined by straightforward physics; it’s just that previously, contaminants had been mucking things up. So for this study, Risaliti and Lusso removed any sources where disk emission is obscured (by dust or gas) or contaminated (by emission from a fast-flowing black hole jet). Their careful selection results in a much tighter, more useful relation. Using data from the Sloan Digital Sky Survey and the XMM-Newton, Chandra, and Swift space telescopes, the duo then apply the relation to turn 1,600 quasars into standard candles. The history of the universe shows a crucial time when the expansion switched from decelerating to accelerating. But the future still hangs in the balance, depending on the behavior of dark energy. If dark energy increases, everything will be torn apart; if it changes direction, the cosmos could end in a big crunch. The quasars help Risaliti and Lusso fill in the gap along the cosmic timeline, looking back to an adolescent universe only a billion years old. From this data, the team finds that dark energy is actually increasing over cosmic time. The results appear to rule out the cosmological constant, which predicts a constant energy density. That’s a bit of a relief given that vacuum energy overpredicts the observations so badly. (Did I mention the 120 orders of magnitude?) Evolving dark energy may also help resolve an ongoing tension between measurements of the universe’s current expansion rate. Nevertheless, the results are unsettling from a philosophical standpoint: If dark energy density really does increase over time, then so does the repulsive force it exerts, potentially ending our universe in a Big Rip. Let’s not give up on the universe just yet, though. Phil Hopkins (Caltech), who wasn’t involved in the study, urges caution in interpreting its results. The relation that Lusso and Risaliti use to turn quasars into standard candles may itself evolve over time, making those quasars not so standard. For example, if quasars slow their gas-guzzling as mergers become less frequent, that might change the shape of the relation between the emission of X-rays and visible light. “[The relation] only needs to evolve a little bit to explain these observations,” he adds. That said, Hopkins agrees the results are interesting and worth following up with even bigger and better samples. The authors also note that other studies probing the adolescent universe are forthcoming. The bar is high these days for disproving the standard cosmological model, and only time and additional study will tell if this is the method that will do it. See also from Chandra here.